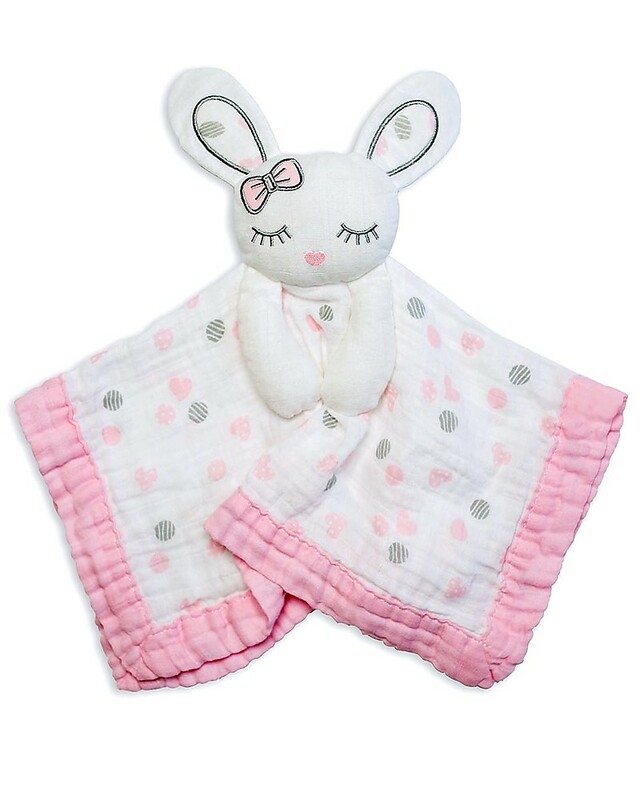 Impossible not to love this sweet doudou comforter with a pink bunny signed by the Canadian brand Lulujo. 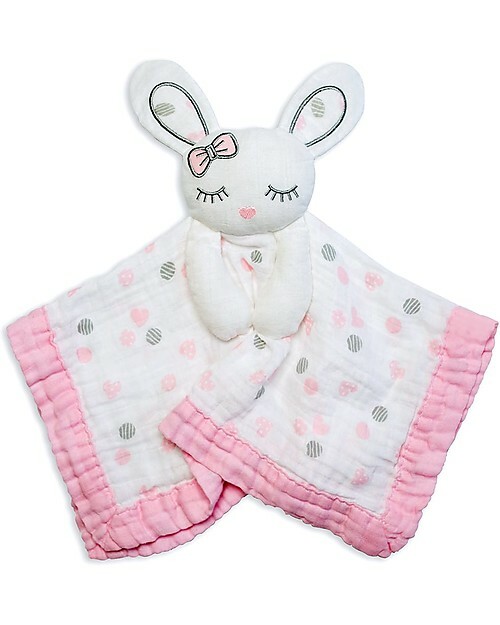 A super cuddly combination of security blanket and toy, the Doudou Comforter Lovie with Bunny is made with 100% muslin cotton, a very soft, natural and high quality fabric that is incredibly delicate and soft against baby's skin and also a super strong material that can be washed repeatedly and in fact gets softer with every wash. Built to last through time, it will take good care of your little one since birth and when your baby will be older, it will become a special keepsake to remind him of his childhood. 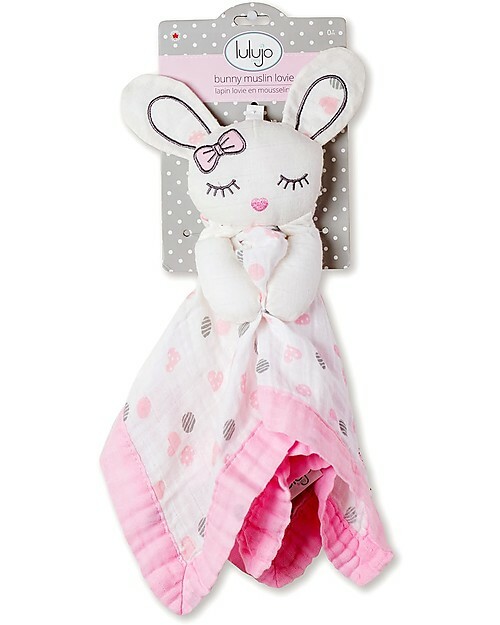 The perfect gift for baby showers, a safe and organic toy that is also very much loved by parents! Founded in 2009, Lulujo is today worldwide known for its original creations designed for everyday life of parents and children. Cheerful prints, pastel colours, and high quality textiles: all products come from a fabulous mix! 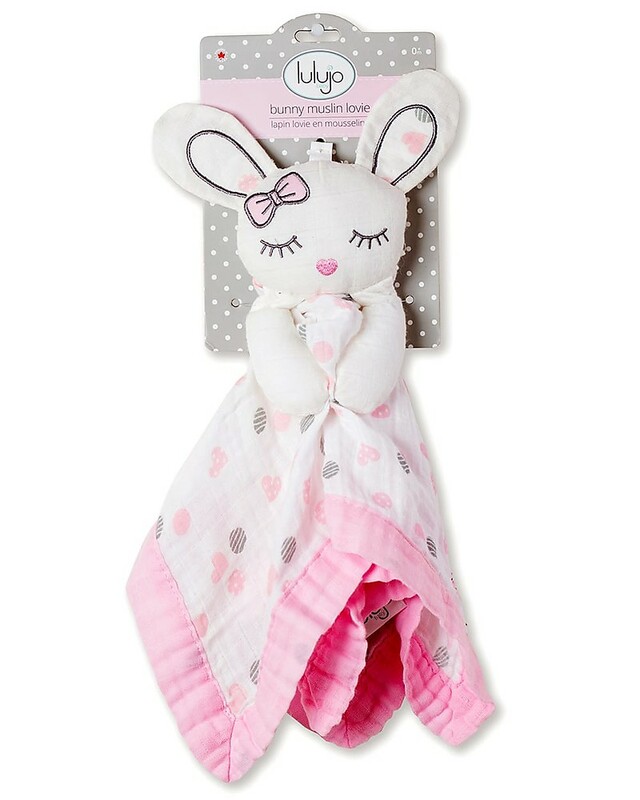 All Lulujo’s items are made with premium quality fabrics of cotton and bamboo fibers and are extremely delicate on the sensitive skin of babies. High quality, modern design, and traditional manufacturing: all Lulujo’s products are beautiful and long lasting, also great as a gift idea!